Pisa is one of the most enchanting places in Tuscany. 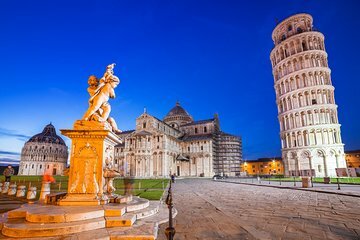 Filled with history, the Piazza dei Miracoli (Miracle Square) is a UNESCO World Heritage Site. Explore the sprawling complex that includes the city’s most famous building, the Leaning Tower. You can also climb the steps of the tower with skip-the-line access.